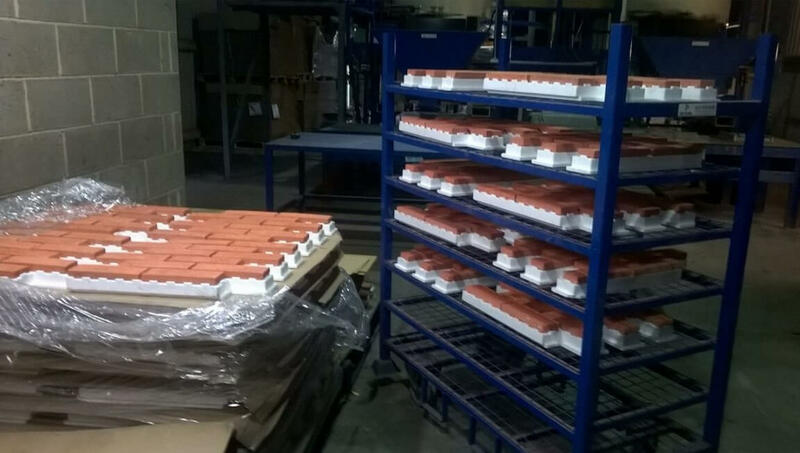 40mm Thick Fire-Retardant EPS That Will Add A Significant U-Value To Your Property. An All In One System Giving The Appearance Of Hand Laid Brick Walls. EPS brick slip panels are a unique and innovative brick insulated system which is quick and easy to install. EPS comes in a number of variations to suit your design needs. It is suitable for all types of new and redevelopment/refurbishment projects. Users include Architects, Contractors, Self Builds and DIY enthusiasts throughout the UK. Our EPS brick slip panels slot together with ease and can easily be cut when required to fit. They are lightweight, easy to handle and help reduce install times significantly. The EPSI Panel Brick System replaces multiple products, multiple layers and multiple trades with a single system. Unlike some brick slip systems where you are controlled in your brick slip selection by the suppliers range. You can buy the panels separately from us and then choose whatever 65mm brick slip you want to for your project. Please note to ask when costing up the panels for advice regarding the specialist adhesive you need to use to bond clay or pre-cast cement slips to an EPS panel. An all in one system giving appearance of hand laid brick walls. Reduces need for specialist skilled labour. Fully Insulated using 40mm thick fire-retardant EPS. Resistant to dynamic wind, impact and water transmission etc. Stylish design finish in different variations and colours to meet your needs. Ideal for new and or refurbishment builds whether traditional or contemporary. Multiple uses for both interior and exterior installation. Currently in testing in accordance with BS regulations. Please feel free to call us on 01206 638885 or use our ‘Contact Us’ page if you need further information.